Iran’ Majlis Speaker Ali Larijani has reiterated that issues relevant to the nation’s nuclear energy program can only be resolved through principled talks based on Non-Proliferation Treaty (NPT) regulations. We had mentioned from the beginning that Iran's nuclear issue is based on NPT regulations and any negotiations regarding the issue must also stick to those rules since one cannot come up with new regulations for each country, Larijani said during an interview with Indian press Thursday night while on an official visit in the nation’s capital of New Delhi. He was speaking a day after Iran and the group of six major powers comprising the US, Russia, Britain, China, France plus Germany, known as P5+1, held another round of negotiations over Iran's nuclear energy in Almaty, Kazakhstan after talks were stalled for eight months. Larijani added the West finally came to this understanding that the tactic of escaping from the negotiating table was ineffective. On the impact of the US-led sanctions on the Islamic Republic, the Majlis speaker underlined that Iran has overcome various sanctions imposed by bullying powers throughout the 34 years since the Islamic Revolution, and even during the Iraqi-imposed war in which the US was an active behind-the-scene player. 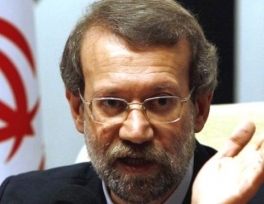 “We stood on our own feet and were able to defend ourselves,”Larijani said. He further pointed to Iran’s outstanding geopolitical position, great human and technological potentials and rich energy resources as means to avert any further sanctions contemplated by bullying powers. “The strategy of the Islamic Republic is on a clear course. We believe the era of bullying on the international stage has expired and we should pay respect to different cultures. Some powerful countries are not willing to accept this unless they are forced to, and events that transpired in Afghanistan and Iraq serve as clear instances of this issue,”said the Iranian legislative head. On the US-led invasion of Afghanistan, Larijani drew a link between the rise of terrorism and the presence of foreign forces in the country, mocking the US claim of fighting terrorism in the Muslim nation. He further charged that Western intelligence services play behind-the-scene roles in some terrorist activities, noting that former Pakistani Prime Minister Benazir Butto, who was herself killed in a terrorist bombing, also alluded to the issue of foreign involvement in local terror activities. Larijani also pointed to the role of US-led forces in what he described as “a 40-fold increase” in narcotics production and trade in Afghanistan since the occupation of the impoverished nation in 2001. He said before the invasion only 200 tons of narcotics were being produced in Afghanistan, but that figure now stands at 8,000 tons. Stressing peaceful coexistence among followers of various religious, he said the recent violence against Pakistani Shias is being provoked by “other systems” that are not at all related to followers of other religions or schools of thought. 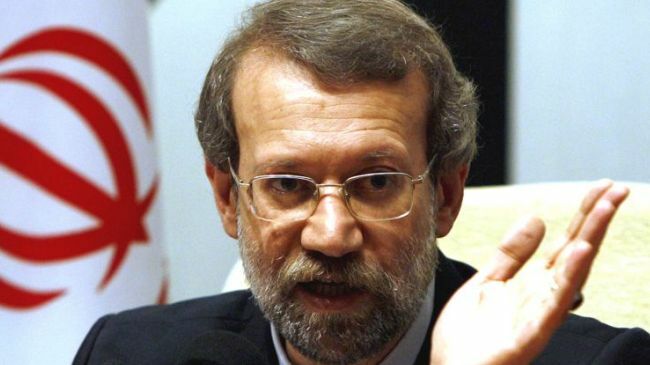 “I would definitely say that foreign intelligence services have a role behind this extremism, particularly those countries that often brag about democracy,”Larijani asserted. The Iranian Majlis speaker traveled to India at the head of a legislative delegation upon the invitation of Indian Parliament Speaker Meira Kumar, who paid an official visit to Tehran in November 2011.